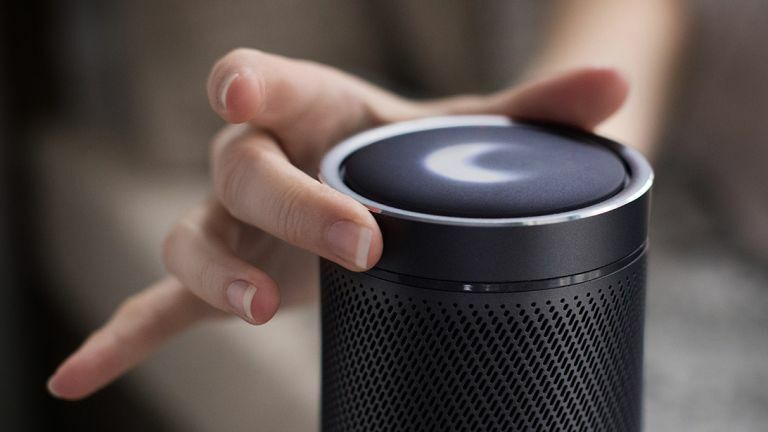 Harman Kardon's new Cortana-powered speaker, the Invoke, has just had its full product page leaked online (the page has since been taken down). The news, which was first reported on by Thurrott, reveals everything about the speaker's design, which is similar to Amazon Echo's in that it is cylindrical, however seems different in terms of its construction, with a premium all-metal build on display. In addition to design details, the Invoke's product page also revealed some of the speaker's features, with the system capable of making and receiving Skype calls, controlling your smart home devices and music via voice commands, as well as being able to answer questions. Naturally for a cylinder, the Invoke delivers 360-degree sound, while the placement of a model's hands in one shot with the system seems to indicate it has a rotatable top, most likely for controlling volume. While the product page did not mention cost, it did mention a release window, with the Harman Kardon Invoke "Coming Fall 2017". Disappointingly, the product page did not detail any technical details about the speaker's internal hardware, which coming from Harman Kardon should definitely be a cut above other similar systems currently on the market. Colours were not detailed, however, judging by the imagery leaked it appears the Invoke will come in either silver or black.